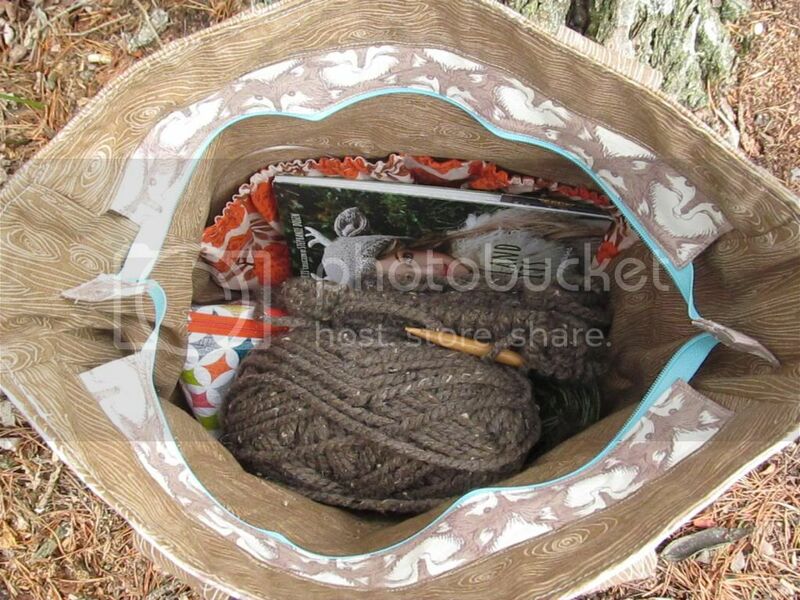 Wool and Wheel: My woodland super tote! I've been wanting to make a knitting bag for about a year now. If I'm working on a small project, like socks, I just carry my little knitting pouch along with me. 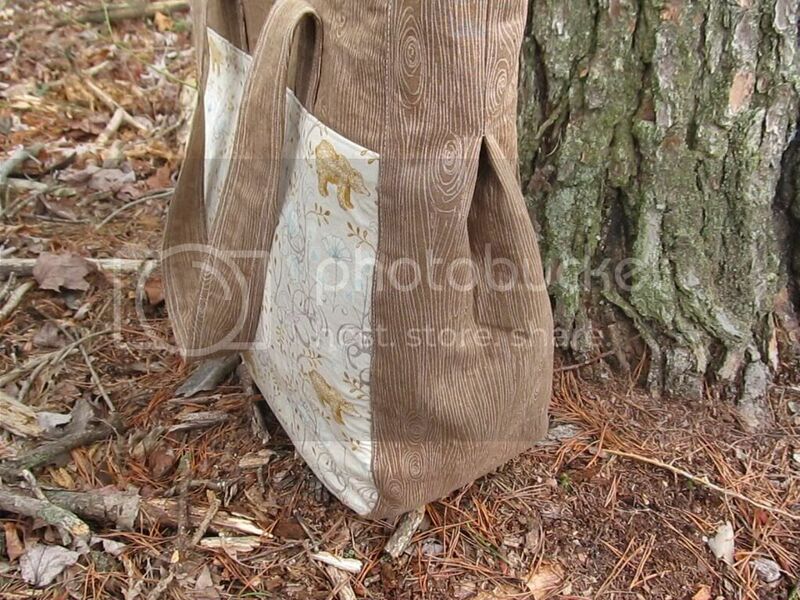 But with anything larger, I usually just used an empty tote bag for my project bag. I wanted to make a bag that would be primarily used to carry my knitting along with me (since I tend to carry it everywhere). 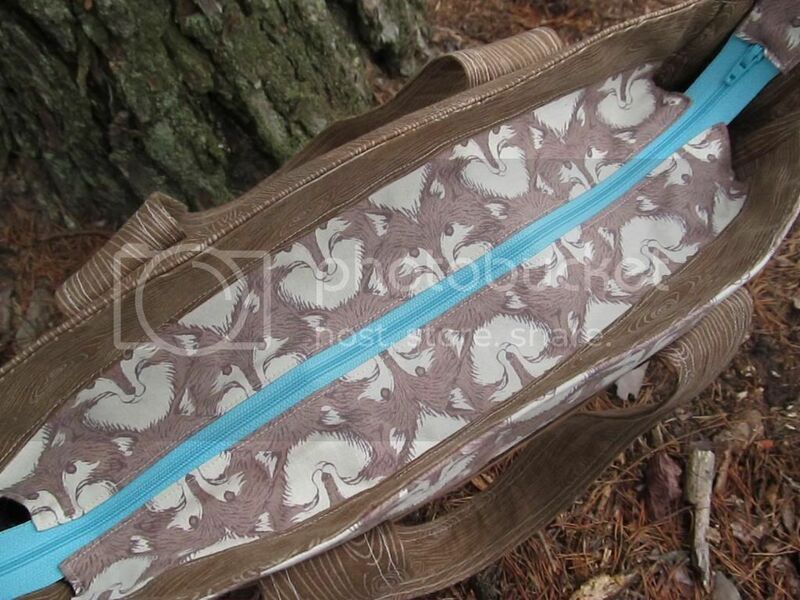 I was having a hard time finding the perfect pattern for what I had in mind, until I saw Amanda's lovely bag. 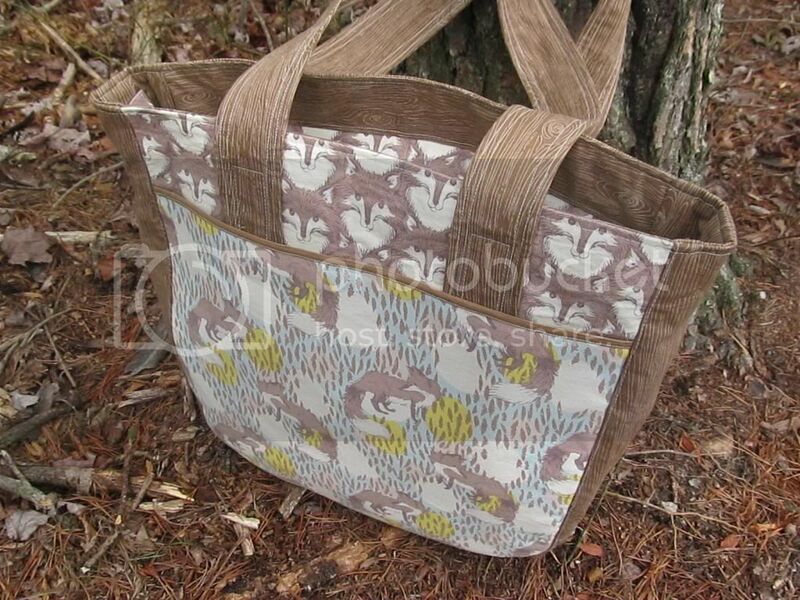 By the way, super tote is not referring to my sewing skills or anything like that. 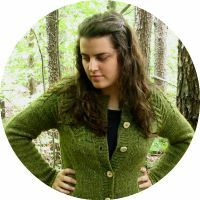 It's the name of the pattern, which is by Anna over at Noodlehead. 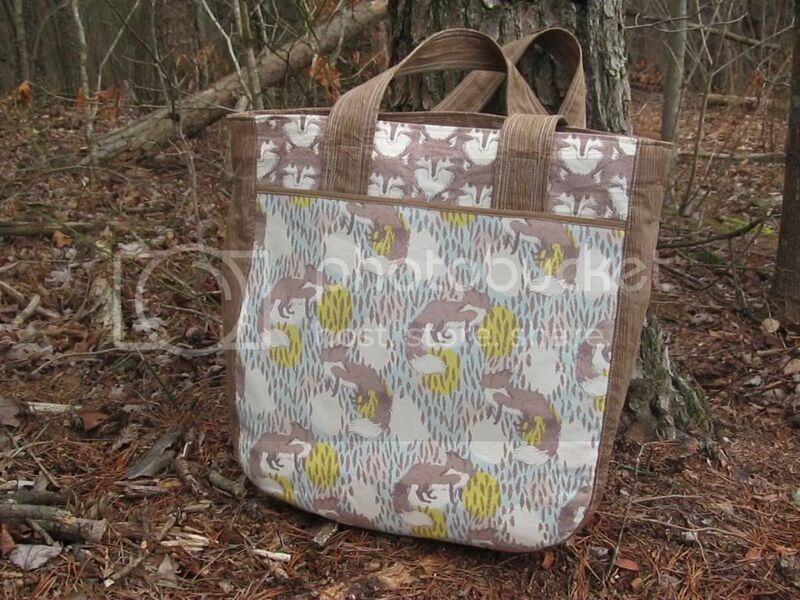 So I bought the pattern and the fabric back in the fall, but for whatever reason I hadn't made the bag. But now it's finished and I'm so smitten! This bag is huge! I had read the measurements and all, so I thought I had an idea in my head of the size. But wow...I'm glad I intended for this to be a knitting bag all along instead of a regular purse. Because I feel like if I took this bag into a store, they would suspect me of being a shoplifter. :) Some of the things I fit inside it when I used it the other day: a full-sized clipboard with a knitting pattern on it, the Woodland Knits book, the hat I'm currently knitting, my knitting pouch with the socks I was knitting at the time inside, my wallet, a couple of other pouches and things from my purse, the book I'm reading (because along with my knitting, I always have a book with me), another book that I had bought earlier that morning, and my cowl and mitts that I was wearing but took off when it got warmer. And there was still more room. The pattern is really well-written. There were a few parts that had me confused until I actually sat down and attempted it. But that's how a lot of sewing instructions are for me: I can read them on paper, but they don't make sense until I try them for myself. I love that big pocket on the front! Instead of using the pocket facing, I decided to fully line the pocket...I just think it looks nicer. Also, I almost put in a magnetic snap, but I'm glad I didn't. It would have probably been too bulky for my fabric, and the pocket doesn't gape open at all as it is, even with something in it. Love the recessed zipper and the big pockets inside. 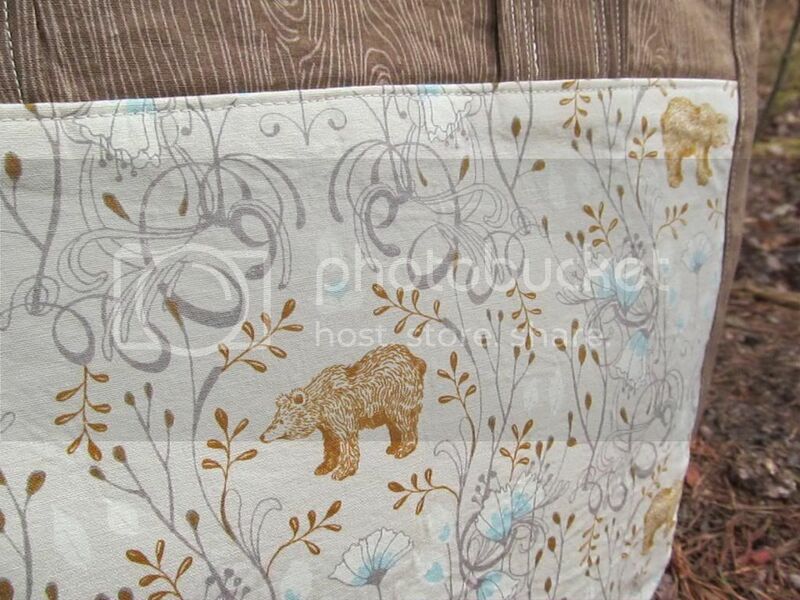 The two fox fabrics on the front and the bear fabric on the back are from the Timber & Leaf collection by Sarah Watts. I love these fabrics...they are so sweet! I'm crazy about anything woodland-ish, with bears or foxes or squirrels or anything like that. I had limited amounts, so I tried to be really careful and hoped that I would have a bit leftover. But I was really cutting it close (literally) with all of my fabric, just barely having enough for the whole bag. The fox print on the front pocket is the only one I had any leftovers from. 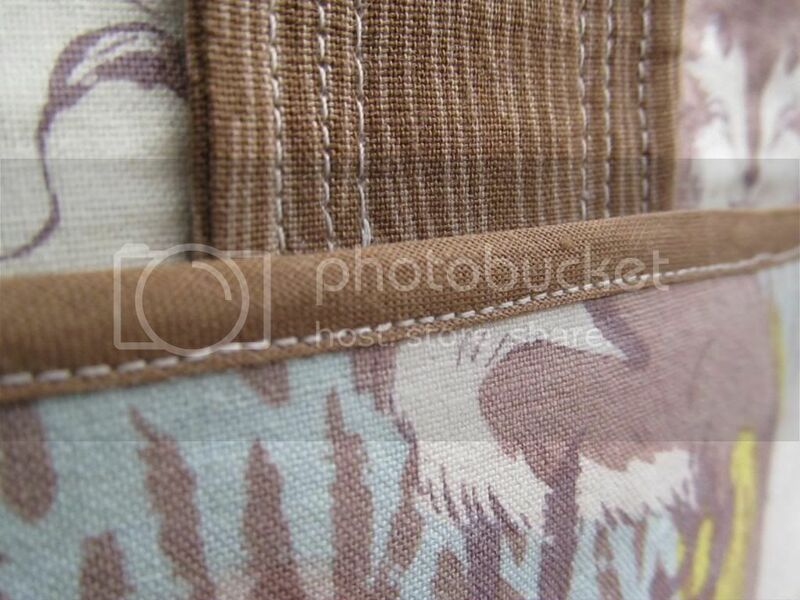 The woodgrain fabric is some I got at Joann's in the fall. I have about 1/2 yd left of it from another cut, and next time I go I'm going to see if they have any left. I'd love to use it in a quilt sometime. 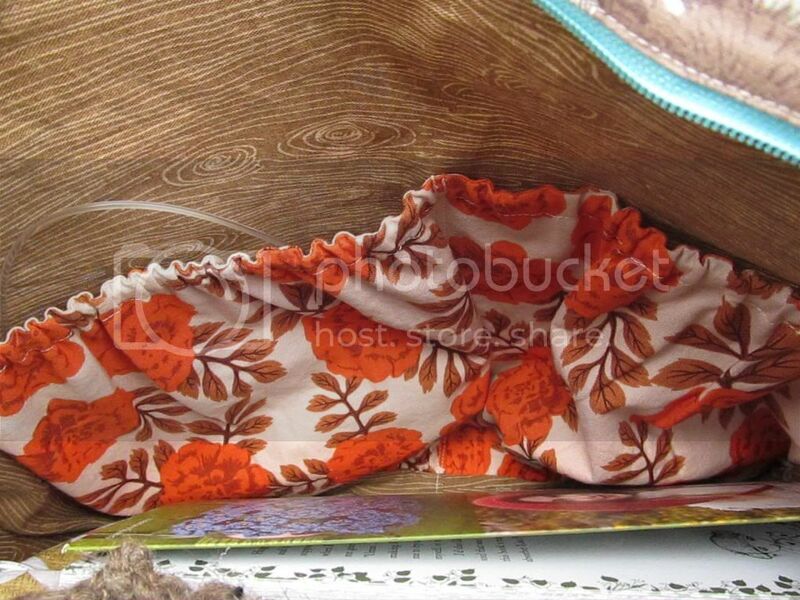 The orange floral I used for the pockets was from Joann's, too. The interfacing was Pellon, and the zipper and bias tape were vintage from yard sales. Some of the things I changed: lined the front pocket instead of using a facing, lined the inner pockets instead of a facing, only put inner pockets on one side, used bias tape instead of piping, and had to use Craftfuse on the outer pieces as well as the other fusible interfacing (as the pattern recommended, because I was using quilters cotton instead of heavier fabrics like twill, denim, canvas, etc.). I ran out of Craftfuse when it came to the outer gussets, but it doesn't seem to be a problem. 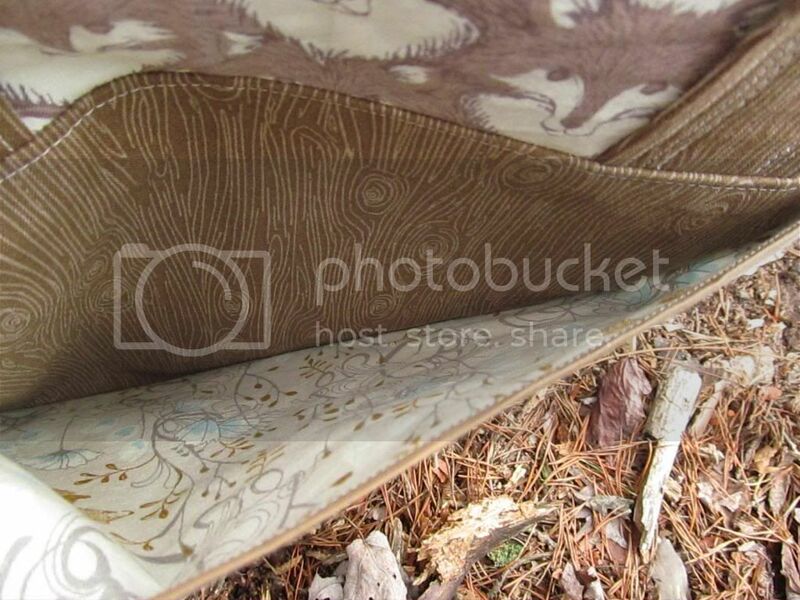 Okay, I adore all the woodland themed fabrics . 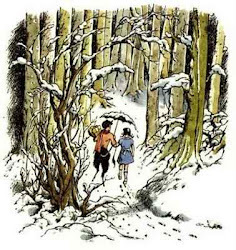 . . they remind me of the artwork and characters from the Wildwood books . . . of course I was thinking of the coyotes but whatever. 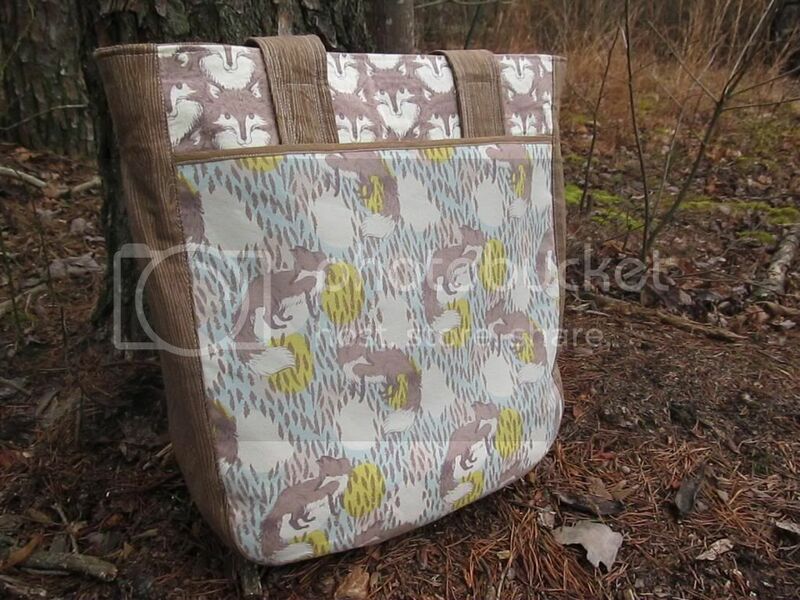 Wow, this knitting bag looks amazing! The design is fabulous, the fabric too perfect, and the workmanship is so polished. What a lovely job you've done!